Ahead of the Chancellor’s Budget Statement on Wednesday (20 March) the Government has published its official response to Lord Heseltine’s growth review (“No Stone Unturned in pursuit of growth”). Ministers have accepted 81 of the 89 recommendations put forward (either in full or part), rejected five – and will look further at the remaining three during the forthcoming Spending Review. 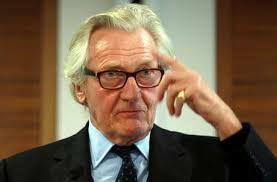 That sounds like a rousing endorsement from the Government to Heseltine’s ideas. But in crafting their response the Government has taken great care not to present it against the recommendations themselves. Looking from one to the other, you will see that in fact a good number of the 81 recommendations which have been ‘accepted’, have only been ‘recognised’ (using the infamous civil service phrase “the Government recognises”, at least ten times) with the Government sticking to its current direction of travel. Whitehall funds for housing, transport and skills are to be devolved into a ‘Single Local Growth Fund’ for Local Enterprise Partnerships. Under the scheme, which will be introduced from 2015/16, all 39 existing LEPs will negotiate a local growth deal with the Treasury with funding partly distributed on a competitive basis, with the quality of local plans helping to determine each allocation, as well as local need. This would be a ‘something-for-something deal’, with LEPs required to put the right governance arrangements in place; they would also need to find match funding from the private sector. Key decisions around the size and the full content of the ‘Single Local Growth Fund will have to await the outcome of the current Spending Review for 2015-16 which will be announced on 26 June. Notably, whether it will include existing budget lines, identified by Heseltine for adult careers advice, vocational training for adult learners, apprenticeships and resources connected to addressing those ‘not in education, employment, or training’. The Government has also accepted Heseltine’s call for LEPs to develop new strategic multi-year plans for local growth, and for European Union structural fund awards in England to be closely aligned to these proposals. While it says that it shares Lord Heseltine’s view of a future where local authorities put economic development at the heart of all they do, the Government does not intend to place them under a duty to promote and co-operate on economic development. It will, however, ensure that existing legislation is fit for purpose for combined authorities and other forms of collaboration, legislating, “at the earliest opportunity”, to support conurbation mayors where the authorities want this. It will also leave to local choice, the adoption of four-yearly whole council elections as provided for in the Localism Act 2011. While it has rejected Heseltine’s plan that it should “encourage” all two-tier English local authorities to “pursue a path towards” unitary status saying that councils should not be ‘distracted by structural change’. Government will not stand in the way of LEPs if they want to make further changes to their boundaries but will not instigate formal review. None too surprising the Government has also not accepted that it should bring forward, to this side of the General Election, its decision on airport capacity. It would seem that they significance of these announcements for local government, much trailed in last December’s Autumn Statement, will be known on 26 June when the outcome of 2015-16 Spending Review will be announced. But when the contents of the ‘Single Local Growth Fund’ will be restricted to “some housing funding”, and to “major local transport schemes” only, and when skills funding is being directed to employers and trainees, this is more likely than not, to be a far cry from the ambition mapped out for localism by Lord Heseltine.